Thank you to our customers from Marina del Ray! For years, Marina del Ray residents have chosen Joy Automotive for auto repair and auto service. We appreciate the loyalty that we have found from our Marina del Ray customers. For new customers, Joy Automotive is a leading auto repair shop that has a reputation for honest and dependable repair work. Our services include 4x4 Services, Car & Truck Care, Domestic Cars & Trucks, Electrical Services, Electronic Services, Engine & Transmission, Engine Maintenance, General Services, German & Import Vehicles, Heating and Cooling Services, Inspections and Emissions, Miscellaneous Services, Tires, Towing, Transmission Services and Undercar Services. For questions please give us a call at 310-450-1712. 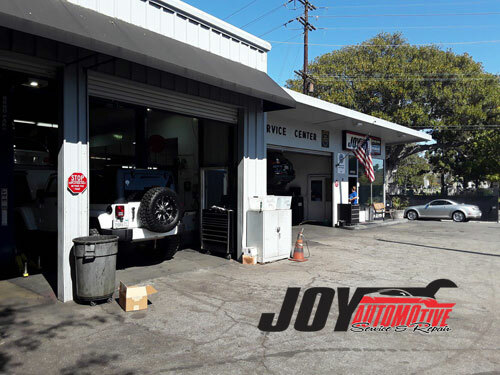 Joy Automotive located at 1325 Pico Blvd is where customers go to find affordable, professional car care!